We're happy to have Julieann Dove at CLC today, thanks to HCL Book Tours. 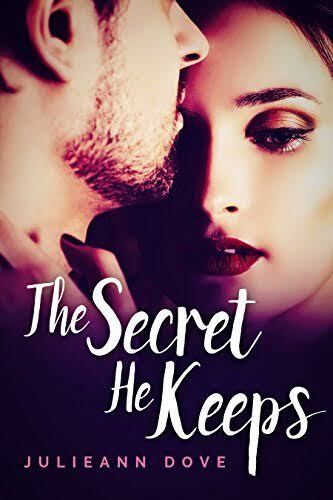 Her latest novel, The Secret He Keeps, is now available to purchase for your Kindle! The road to publishing was one with potholes, speed bumps, uphills, and a whole lot of twists and turns. Debbie Macomber is the author that has most inspired me. Her story of stardom was so pitted with let downs, sacrifices, and faith, that I learned never to give up. 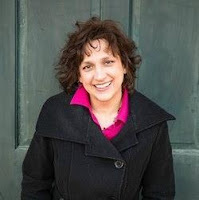 When I began writing and querying agents, I wrote to Debbie and told her of my aspirations. She had her assistant to send me a package of tips, her personal story, and words of wisdom. After my first book, “Waking Amy” was published, I mailed a signed copy to Debbie. She handwrote me a card, thanking me, and encouraging me to keep up the good work. She’s a class act! Do you base characters on yourself? I write pieces of me in all my books. I mention characters liking the same drink, food, and having hang-ups that I do. In my book A Reason to Stay, I write my heroine based on myself. Elise Newton cannot commit to a guy. It was forever until I could commit to someone. Incidentally, I dedicated that book to my husband—the one I finally committed to! If The Secret He Keeps were made into a movie, who would you cast in the lead roles? I have all my character inspirations pinned on boards in Pinterest. For Rachel, I would have Rachel McAdams play her. Dane Stone would be Josh Lucas, and Scott Miller would be played by Mark Ruffalo. Hubba, hubba!! Melissa A: I saw you included Judy Greer, which is a funny coincidence since I just read her memoir! What is your favorite thing to eat and/or drink during the winter holidays? During our family Christmas party, my brother makes Gingerbread martinis. The. Best. Ever. My eyes actually roll to the back of my head, they are so tasty. I need to check into having these little treats more often! My favorite holiday tradition is Christmas morning. All of my little munchkin’s come into my bedroom, not being able to wait any longer than seven o’clock, and pile around me, begging me to come see what Santa’s brought. They take turns opening gifts then we eat a breakfast casserole before everyone disappears to play with their new toys. I enjoyed the interview. The book sounds really good too.